On "Talking About Death," the lead cut from Wooden Dinosaur's 2012 record Spaces, songwriter Michael Roberts confronted mortality. As he often does, Roberts tackled an enormous question by looking for small answers. And he found them. "We're just ordinary people, too bad we're so plain," he sang. "If I was home now, I surely would stay." The implication being that home is where the heart is. And to take the logic a step further: If you have love, then you have life. Given Roberts' proclivity for lyrical ambiguity and nuance, not to mention the magnitude of his philosophical quandary, that's kind of a hokey conclusion. And yet it's perfectly reasonable. Prior to recording WD's 2010 debut Nearly Lost Stars, Roberts had indulged a sort of existential wanderlust, traveling to Mongolia in search of ... something. But it wasn't until he came home and settled in Brattleboro that he began to understand what he had really been looking for. Each of his band's records has reflected a sense of clarity through simplicity. The vague, ethereal expanse of Nearly Lost Stars gave way to the artful yet playful focus of Spaces. The band's new record, Rhubarb Wine, written while Roberts and his wife built their home, is even more grounded. As he puts it, the album contains "no big artistic statements" and "no cleverness." 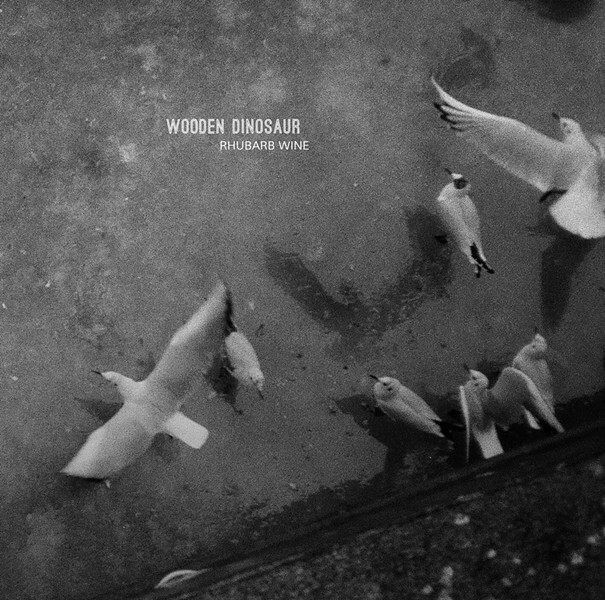 Indeed, Rhubarb Wine is Wooden Dinosaur's most straightforward recording to date. Recorded mostly live in Roberts' recently finished Brattleboro-area house, it retains the cozy feel of an informal session among friends. The opening title track swells with pastoral serenity as Katie Trautz's languid fiddle drifts above a lilting acoustic guitar. "Rhubarb wine you turn from green to red/ every night I seem to find my bed," Roberts sings with a rosy, contented hum. On the duet "Sucker," Trautz pairs her own girl-next-door croon with Roberts' warm rasp. It's a touching, understated ode to wandering and heartache. "Walking Along" is a haphazard stroll colored by a punchdrunk horn section that feels equal parts New Orleans second line and community band. Wooden Dinosaur have always taken great care in their arrangements, so it's likely that the song's gleeful, disorganized air is intentional. Even if it's not, it works. 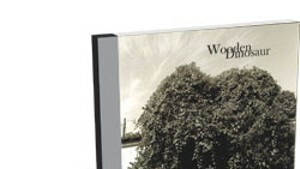 Following an introspective turn on "I'm All Right," WD unveil the album's centerpiece, "Worms." The song is a slow-burning ballad that may owe some melodic homage to Neil Young's "Helpless." Here, WD's horns frame Roberts' own helpless musings with comforting tones that arc above the song's shimmering foundation of organ and guitar. After the contemplative haze of "Drugs," Rhubarb Wine closes on "Don't Make It Hard." It's a quiet benediction that finds Roberts aching for the soft touch of an emotionally distant lover. "Please don't make it hard to love you tonight," he pleads. Like many of the best moments on Rhubarb Wine, that's a simple yet loaded sentiment that cuts with bald honesty instead of byzantine cleverness. Perhaps Roberts is correct and his simplicity is not a grand artistic statement. But it's certainly a feat, and one that makes Rhubarb Wine a simply remarkable album. 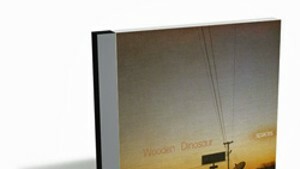 Rhubarb Wine by Wooden Dinosaur is available at woodendinosaur.bandcamp.com. Wooden Dinosaur play the Skinny Pancake in Burlington this Saturday, March 22, with the Winchester Local.